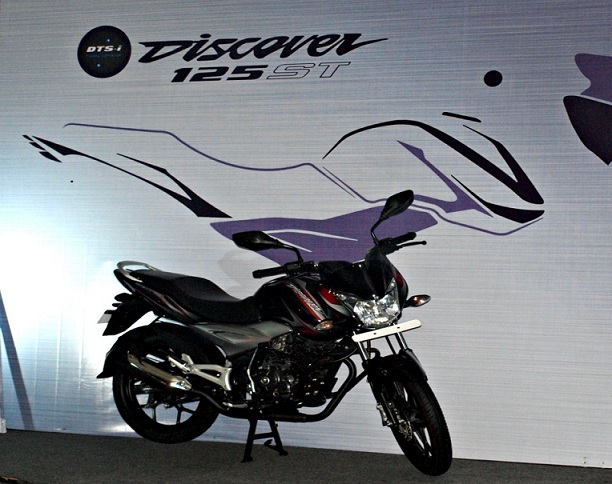 Bajaj Auto has launched the Discover 125 ST motorcycle in Tamil Nadu. The automaker seems to be following a phased launch strategy with its new offerings. The Pulsar 200 NS was initially offered in Maharashtra and just last week the Pulsar 200 NS was launched in Delhi. Bajaj aims to offer the Pulsar 200 NS across India by August and is following a similar strategy with the Discover 125 ST which will first be offered in the South. The Bajaj Discover 125 ST is priced at Rs. 55,740/- (ex-showroom, Tamil Nadu), while the regular Discover 125 has not been discontinued and retails at a price of Rs. 51,127/-. Bajaj Discover 125 ST comes with segment first Monoshock suspension and petal disk. It has four valve DTS-i engine which generates 13bhp of power and 10.8 Nm torque. It can deliver mileage of 65 Km / liter under normal riding conditions. It comes with fresh styling and will compete with CB Shine which is selling like hot cake in 125cc segment. Let’s see if Discover 125 ST can grab the position of CB Shine. Click here to see the competition "Hero Ignitor"